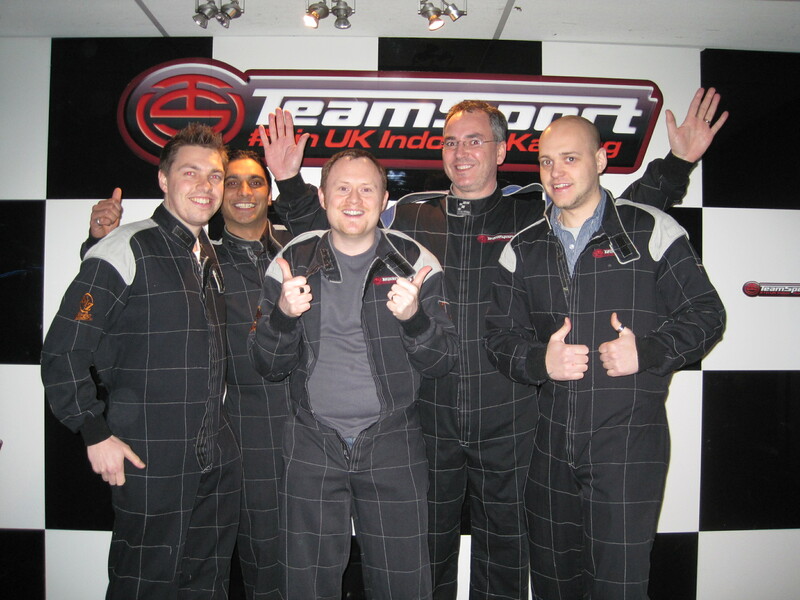 Congratulations to engineering specialists and Design Inc client, Verderg Engineering, whose team ‘Verderg Blue’ came home first in the 2010 Oil & Gas Karting Challenge on Monday evening. The karting challenge is an annual event for all companies who work in and around the oil & gas supply chain. As creative designers to the oil & gas, subsea & engineering industries, Design Inc were also invited to field a team at the 2.5hr endurance event. Starting from a grid position of 9th, Frank Norman, Design Inc’s Commercial Director made headway in his 30 minute stint. After the half hour was up, Frank and Design Inc were in first place and already a lap ahead of the 2nd placed team. At the driver change, Frank swapped with Design Inc’s new Senior Account Manager, Darren Scurville. Perhaps it was Darren’s poor choice of shoes or his excuse that he is a specialist in venue marketing (rather than oil & gas marketing) that saw the fortunes of Team Design slip down to 10th place (and 3 laps down on 9th) at the end of the hour. One and a half hours to go, in 10th position and 3 team members left. The challenge was on. Next up into the kart was Anthony Westoll, Design Inc’s Operations Manager, who drove sensationally and managed to claw back the 3 laps to put us firmly in 8th place. Then we unleashed the big guns: Daniel Gilbert, Design Inc MD, complete with his own racing helmet, jumped into the kart and proceeded to get the quickest lap time of the day so far. Dan fought hard to get up back up to 6th place. This meant we had overtaken our ‘friendly rivals’ and another industry client of ours, Guildford-based Derrick Offshore. With half an hour to go and one driver left, Design Inc Studio Manager Jon Turner, zipped up his overalls, lowered his visor and put his foot down. With the driver change, we had slipped down to 7th and we were 6 full laps down on the team in first place. Jon drove like a mad man, clawing back laps, getting the fastest lap of the whole tournament and bringing the kart past the chequered flag in third position. Well done for all involved in the organising of this event. We look forward to working and racing with you next time.